Kiskunhalas is the chief town of its region, with a population of 30,000, only 134 km south of Budapest. It stands on the top of sunny Homokhátság, in the plain region between two major rivers, the Danube and the Tisza, near the former Yugoslavian border. The international motorway No. 53 runs across the 600-year-old market-town, which lies just 45 km from the M5 motorway. It is a busy railway junction. 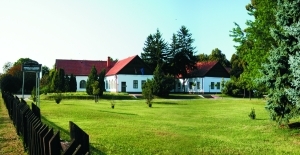 Kiskunhalas is an ideal base for exploring the neighbouring towns and tourist attractions like Kecskemét, Baja, Kiskunfélegyháza, Szeged, Kalocsa and Szabadka (SCG), all only 50-60 km from Kiskunhalas. The surrounding area is rich in trees, flowering shrubs and sand dunes, an excellent place of nature lovers and hunters alike. The area has many sizeable lakes: the Fehér-tó (White Lake) and the Sós-tó (Salt Lake), where you can bath, hire boats and even fish. You can enjoy the wine cellars, the hospitality of the many ranches in the countryside, where you can go horse riding or carriage riding. There are private houses, hotels, motels providing comfortable accommodation for the visitors and organising different programmes even business meetings. 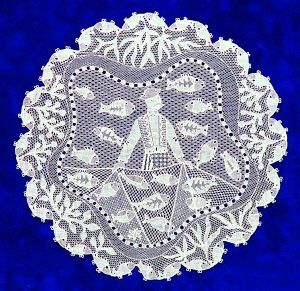 In the famous Lace House you can watch the masters at work in lace making. Kiskunhalas has many museums, art galleries and old churches as well as an observatory, sport centre and excellent entertainment facilities. 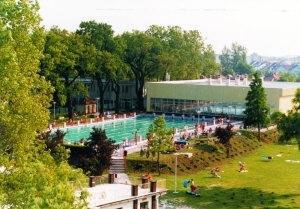 The famous spa bath, which was built on the local medicinal iodine-rich spring, has outdoor pools and a camping site and also an indoor pool, which is open all year round. You can find adjacent to the bath the treatment centre, offering balneotherapy, a specialized treatment for rheumatic and gynaecological problems. Kiskunhalas was awarded the prestigious "Museum of the Year" and "Library of the Year" in 1999 and for a long time it has been referred to as the "town of grapes and wine". It has several partner-towns. : Magyarkanizsa (SCG), Kronach (D), Nowy Sacz (Pl), Sepsiszentgyörgy (Ro) and Hódmezővásárhely (H). For its excellent record of inter-town relations it received the Europe Diploma in 1999. In 2001 it was awarded the flag of Honour of the Europe Prize by the European Council and an Ornamental plaque in 2005.